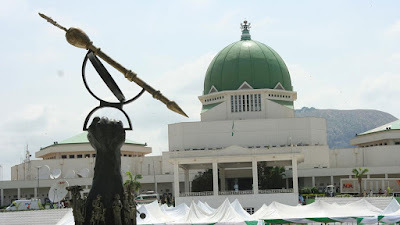 Legislative Aids of the 7th National Assembly have petitioned the Clerk of the National Assembly Mohammed Sani Omolori over the non payment of their severance gratuity and allowances, a matter that has remained unresolved since the end of the seventh Assembly. The former Legislative Aids in a letter dated 3rd April, 2018, indicted the clerk of deliberately holding back their severance and gratuity and has defiled every effort to get the money released to them. According to the content of the letter signed by the Legislative Aids lawyer, Enenche Okoja, and copied to various bodies including the National Human Right Commission, Transparency Initiative, EFCC and ICPC, the 7th Assembly Legislative Aids accused the Clerk of intentionally refusing to release the gratuity and allowances for undisclosed reasons despite several efforts to get him to do so. “We write as solicitors to the Legislative Aids of the 7th Assembly (here in referred to as our client) with whose mandate we have to write and pursue the payment of their severance gratuity / allowance yet to be fully. It is our belief that your office has held back deliberately the severance gratuity and allowances of the 7th Assembly Legislative Aids and all modest efforts used to demand the payment from your office has remained ineffective and dormant”, the letter read. The Solicitor informed the Clerk that the provision on the guidelines for the appointment of Legislative Aids for Senators and Members of the House of Representatives for National Assembly Service of the Federal Republic of Nigeria, issued by the National Assembly Service Commission outlining how and when the payment of severance gratuity and allowances should be paid has not been fully complied with by the office of the Clerk. While they requested that the Clerk should use his good office to urgently do the needful and have the balance of the severance gratuity and allowances paid up to all the Legislative Aids of the 7th Assembly as that will save his office a lot of embarrassment , the solicitors recalled that less than half of the money has been paid and no explanation or reason has been given for the non payment of the balance which has been the practice of the office of the clerk in the past regimes. “The act of your office may cast doubt on the integrity of your office , so we therefore urge you to do the needful within two weeks of the receipt of this letter to avoid us from taking a step that may embarrass your good office,” they warned.